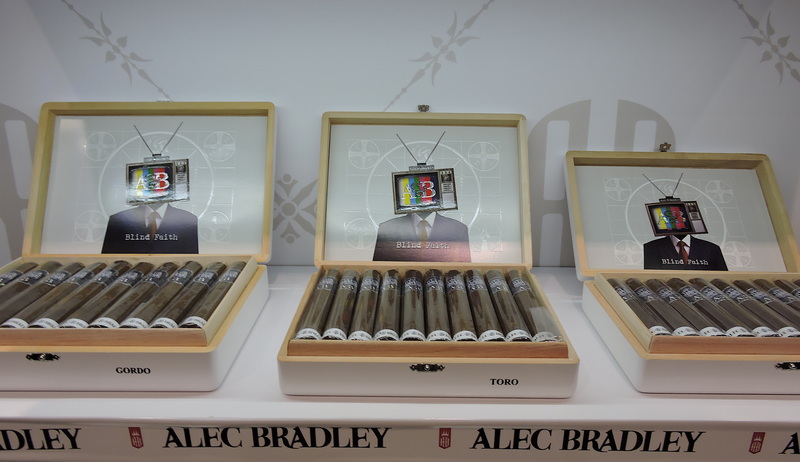 One pre-announced release, one mystery release, one audible, one annual release, and the return of a popular industry personality all made the Alec Bradley booth one of the more interesting ones at the 2018 IPCPR Trade Show. One of the company’s featured releases was Blind Faith. This is a project spearheaded by Alec Rubin and Bradley Rubin, the namesakes of the company and sons of company President Alan Rubin. 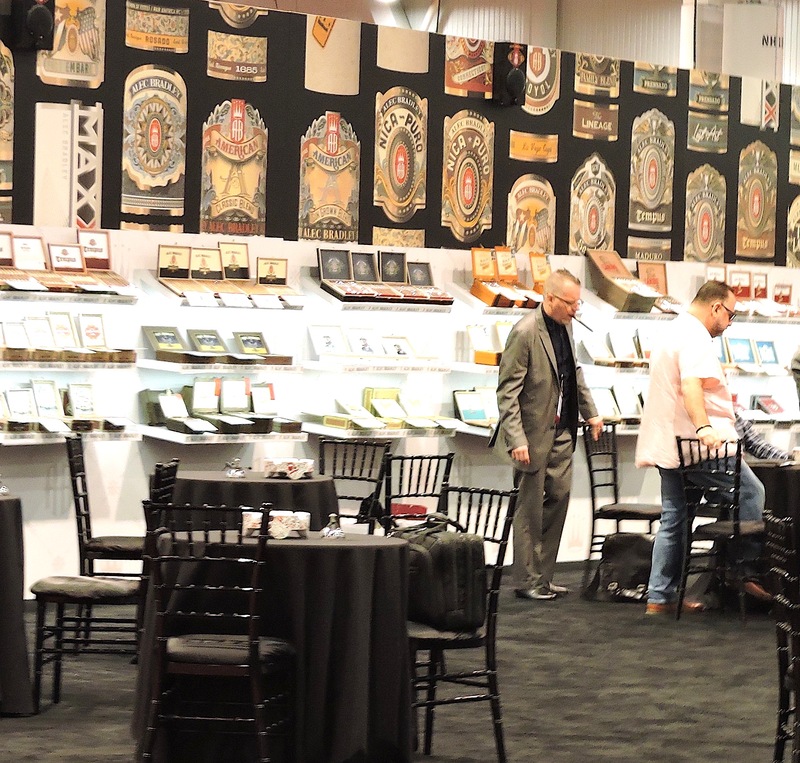 While this was a product that was announced prior to the 2018 IPCPR Trade Show, it was at the booth that the packaging was unveiled for the first time. The 1960s/70s retro-look was one of the highlights for me at the trade show. Produced at Raices Cubanas in Honduras, Blind Faith uses a wrapper from the Trojes region of Honduras over a double binder from Trojes and the Jalapa region of Nicaragua over an all-Nicaraguan blend. The cigar is available in three sizes: Robusto (5 x 52), Toro (6 x 52), and Gordo (6 x 60). Each is packaged in 20-count boxes. 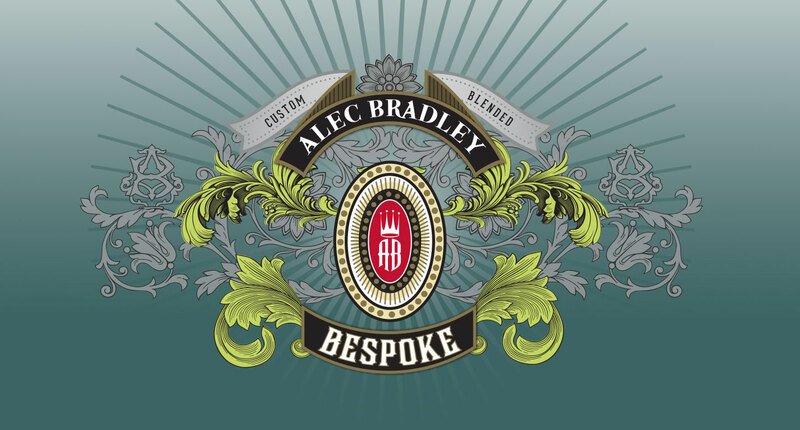 As for the name, it pays homage to Alec Bradley consumers who have “blind faith” in the products Alec Bradley produces. Prior to IPCPR, the company told one media source of a mystery release. 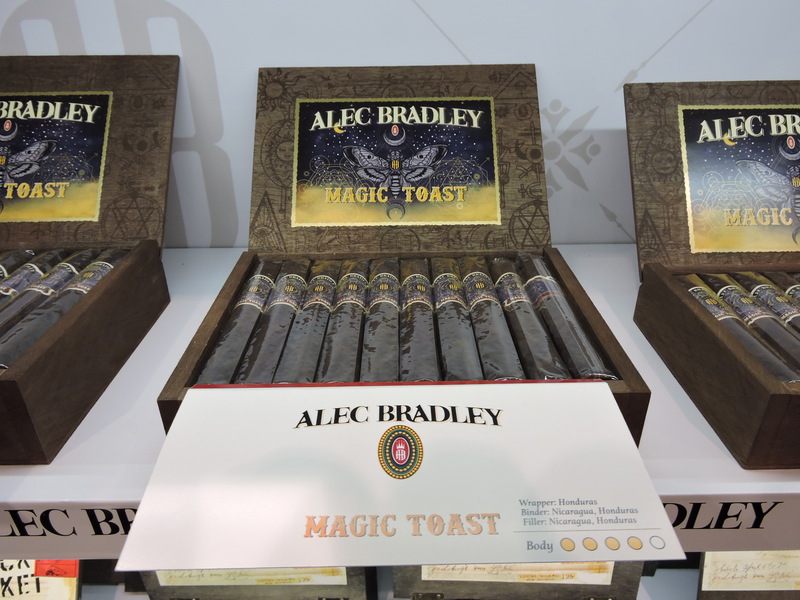 That cigar turned out to be Alec Bradley Magic Toast, a cigar that had been previously seen as a stealth release. The blend for Magic Toast features a dark Honduran leaf, a double binder from Nicaragua and Honduras as well as filler tobaccos from Honduras and Nicaragua. The cigar is available in three sizes: Robusto (5 x 52), Toro (6 x 52), and Gordo (6 x 60). Each is packaged in 20-count boxes. The packaging for this cigar also was quite striking. The audible was the Alec Bradley Bespoke. The company did not mention this release prior to IPCPR, and it seemed downplayed at the trade show itself. In fact, it was so low key that I didn’t find out about it until I talked to a few of my media colleagues (thus no photos) – and there were others I talked to who also missed this cigar. This is a Nicaraguan puro available in five sizes: Robusto (5 x 52), Toro (6 x 52), Torpedo (6 1/8 x 52), Gordo (6 x 60), and Churchill (7 x 50). For the eighth consecutive year, Alec Bradley had a Fine & Rare release. Fine & Rare is a limited edition release that consists of ten tobaccos. From year to year, the company rotates the blend and size. Alec Bradley calls the 2018 Fine & Rare the JRS 10=(86) Second Edition – referring to the fact that this is the second release of the JRS 10=(86) blend in a 6 1/2 x 56 format. A total of 2500 boxes has been produced for 2018. This year Alec Bradley introduced very elegant zebra wood boxes for this release. 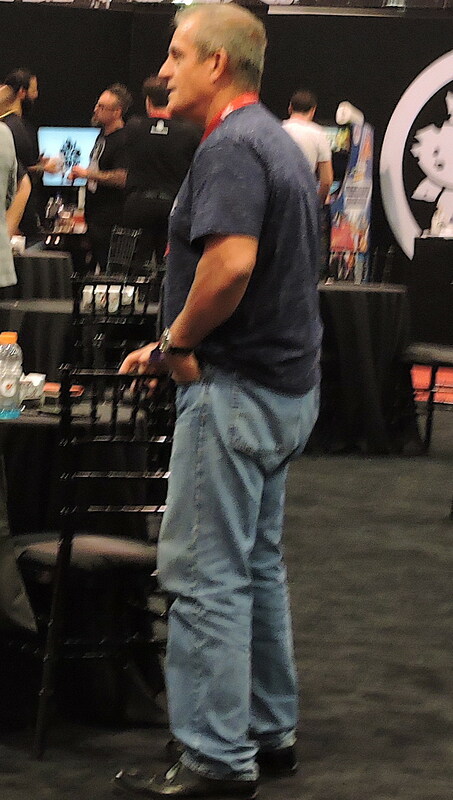 Finally, if you were at the Alec Bradley booth, chances are you saw a familiar smiling face in Eddie Ortega. Ortega is best known as the former co-owner of EO Brands as well as the owner of Ortega Premium Cigars. Ortega is now working for Alec Bradley in a product development role. While this wasn’t a complete shock, it was news to many. Ortega had actually been working for Alec Bradley since earlier this year, but the announcement was kept low key.